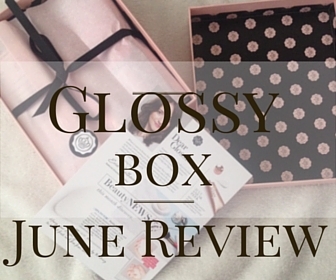 I have an exciting review of the June glossy box. This week I had a few product reviews to post about but since glossy box had a generous discount, I figured this is a good opportunity to give them a try especially since I have been hearing a lot of mix reviews on their boxes. I have to admit I love a beauty box since I've been looking at Michelle phan's Ipsy Bag I have been obsessed with the general concept of being able to try out a variety of beauty products that are picked for you that you would otherwise not try or stumble upon. It's like unboxing a Christmas Present every month. So with that said let's dive right in.. The general look of the Glossybox is absolutely beautiful I love the packaging it's absolutely cute and this has nothing to do with my love for pink ha! The items in the box were neatly packed and presented, it had a few discount vouchers along with a little leaflet which detailed the contents of the box, general information on each product and the value of the products. The presentation and packaging is very appealing to the eye definitely Tumblr worthy and its one of the reasons why I sat looking out of my window anxiously waiting for it. 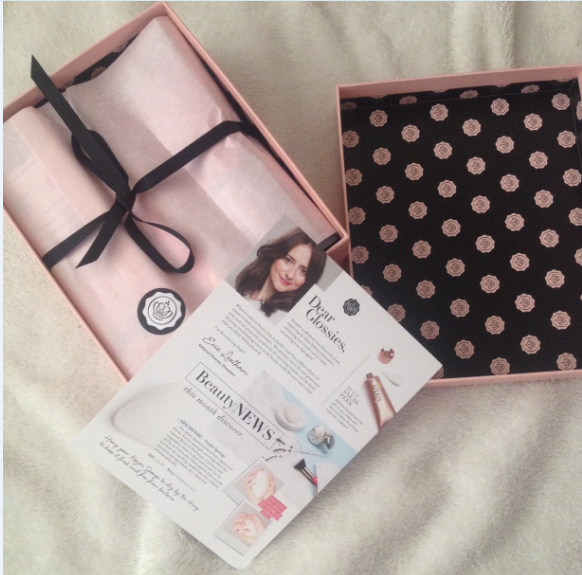 In my glossy box, I received 3 full-size items, "a latest trend product", one sample product and a bonus product. Emite Makeup Lip and Cheek Tint(£12.50). I think that the products I got in this box were definitely value for money, the Sun Protection Spray alone was double the cost I actually paid for the entire box. Also, the overall box is worth £58.55 so your getting nearly £60.00 worth of products for £10.00. In terms of the items, some of them were hits while others were misses in terms of general overview. The De Bruyere smells amazing and it leaves your skin feeling so soft this is definitely one of those items I am using in small amounts and I will definitely have a lot of trouble sharing it with others. I know you all can relate Ha!. Even though it's a small tube I would purchase this again. I will admit I was excited about the lip and cheek tint the most because of my obsession with makeup and I have never tried a lip and cheek tint before. 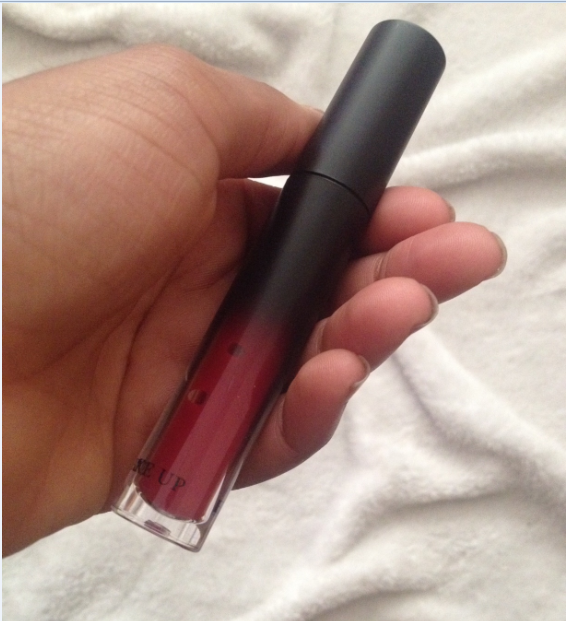 I really thought that it would be similar to the Sleek Lip Stain that has been discontinued I absolutely loved that. I didn't like the look of it on its own it's not that pigmented and its not that suttle its slightly in between and I'm not sure if I am using it right. Maybe I will try and pair it with a lipstick to see if it's better but it's definitely a miss. I really like the whole concept of the Ladival Sun Spray its non-greasy I absolutely hate looking shiny on the beach and most sun protection sprays can be quite greasy. It's waterproof which is great for poolside or diving in the nice blue water.It also has no perfume for sensitive and eczema prone skin which means that a wide variety of skin types can use it. All of the other items I am looking forward to trying, probably I will have a little pamper session and I will let you know my thoughts on my Twitter Page. Click Here! to follow me on Twitter. I had to give feedback on my glossy box and what I mentioned in my feedback was that there wasn't enough makeup. Now looking at the overall box I like the Sun Protection Spray and The After Sun Lotion but that's because I am going on holiday soon and it saves me going to the shop and the quality of the items are fabulous for the amount I paid for the box. 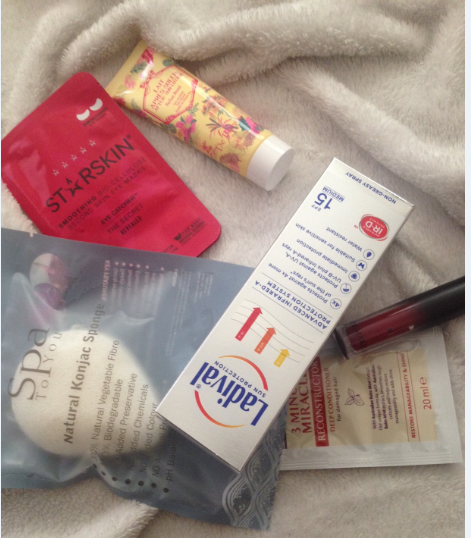 I think what disappointed me with the overall box is that it had one makeup product in it and it wasn't that good. I am a makeup girl and the name glossy box just screams makeup to me, I hope I'm not alone in thinking that lol. So I am sort of on the fence with this one, I believe if the box had half makeup products and half skincare or beauty products I would have been more than happy to continue my subscription, but if your into trying a lot of non-makeup beauty products glossy box is for you. Leave a comment, follow and subscribe to my mailing list so you won't miss a post.